Your morning can make or break your entire day. When your day starts off on the right foot, it’s a lot easier to keep that momentum going throughout your workday. When your mornings are hectic and stressful, you risk carrying those feeling into the rest of your day. Although the schedules for both my days and nights fluctuate often, my morning schedule tends to be quite consistent. 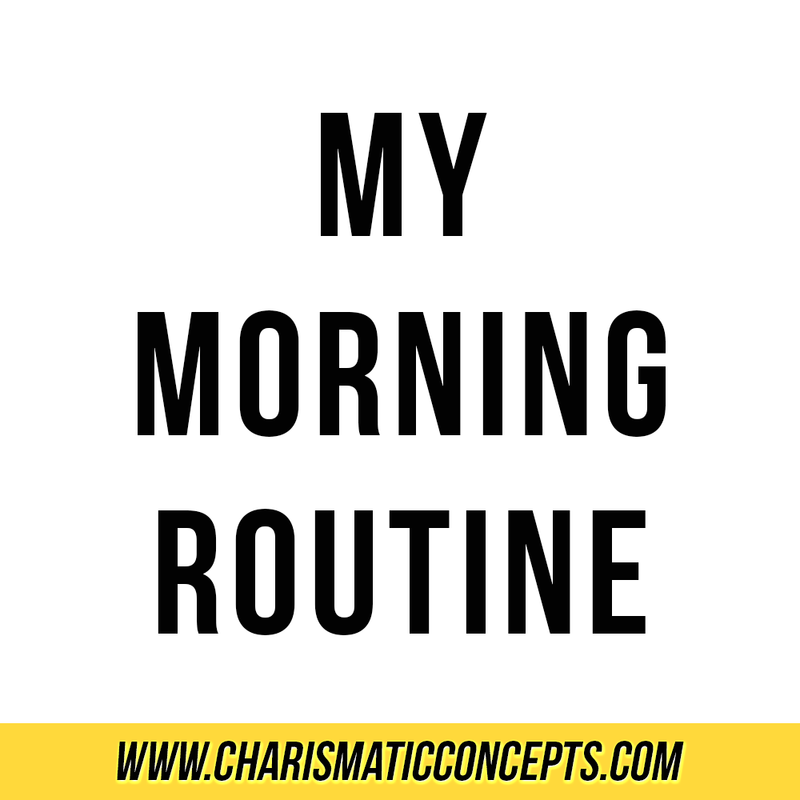 Without consistency in my mornings, the rest of my day would basically be a hot mess (trust me, I went awhile without a morning routine and it did NOT work well for me). I shared my old morning routine back in July but it has already changed considerably since then. John and I have added morning workouts to our routine and we wake up two hours earlier to make sure we get them done without having to rush through our mornings. While most of my day remains flexible, 5AM to 9AM is a four hour block that I refuse to alter for anyone. Pairing a challenging workout with a relaxing breakfast before work is the perfect way for me to start my day. As a bonus, I manage to get a lot of the important health related parts of my day done before I even start my workday so I don’t have to worry about doing them after work. If John and I manage to get in a second workout or go for a nice long walk in the evening, great. If not, I don’t feel guilty for curling up into a tea drinking ball on the couch after work. What does your morning schedule look like? Are your mornings consistent or are they chaos? Perhaps they are somewhere in between? Do you prefer to mix it up or do you like to practice a few rituals or a routine in the morning? The great news is that there is no right or wrong answer when it comes to our morning routines (or lack thereof). What works for some simply won’t work for others and what pushes some to be more productive will make others feel drained. Regardless of what your mornings look like, don’t be afraid to shake things up every few months and make small changes to make sure your morning routine is helping you start your day on the most positive note possible.